BetVictor Casino offer new customers a 500% casino bonus – get a £50 bonus for just £10! BetVictor are an excellent online casino and now is a great time to join. New customers at BetVictor Casino can claim a huge 500% welcome bonus. Join, deposit and wager £10 and get a £50 casino bonus. With £60 of casino fun for just £10, this is a great value offer! Have a look at our detailed BetVictor offers and promotions feature for the full lowdown on this excellent online and mobile casino site. You can read more about why they come so highly recommended and also check out the amazing promos they offer current members too. On the other hand, hit the button below to claim your £50 BetVictor bonus right now. Or keep reading for more information on this fantastic deal. Key Terms – New customers only, opt-in via “Offers” tab, 18+, Ts and Cs apply, wager £10 in casino within 7 days of joining (baccarat and Blood Suckers slot excluded). £50 bonus released as £20 slots bonus (35 x wagering), £10 table games (60 x wagering), £10 live casino (60 x wagering) and £10 instant win (35 x wagering). Wagering applies to each bonus as above and must be completed within 3 days. Only debit and credit card deposits apply. If you want a nice size casino bonus for a low risk, this is one of the most generous casino offers around. The absolute worst case scenario is that you lose £10 but get £60 of casino action in a top class casino. What’s more, because the bonus comes in four parts, you get to try lots of different games. This gives you a great chance to see what BetVictor Casino is all about. That’s the worst case scenario. However, with just a little luck you’ll get all of the above but instead of losing your £10, you could win big. In fact, if you get lucky on your £10 qualifying bet and make a profit or break even, you can’t then lose! This offer is really low risk and is very generous because of the way the bonus wagering works. With most online casinos, your initial deposit is tied to wagering. So if you have to deposit £50, you cannot withdraw that £50 and any winnings until all the wagering is complete. However, with this BetVictor offer, your £10 cash stays separate from the four bonuses that make up the £50 offer. That means that if you bet your £10 on a hand of blackjack and win, you’ll be guaranteed a profit from this offer. The £20 (£10 deposit and £10 profit) are yours to withdraw and keep and then the £50 in bonuses are free on top. Win or lose – or break even – with your £10 wager, you’ll get £50 in casino bonuses. This £50 is composed of four different bonuses for different areas of BetVictor’s Casino. When it comes to the wagering for each bonus, more or less every game is eligible for the rollover. All eligible games count at 100% too, making this a very simple casino bonus. It’s easier to understand than most and also easier to profit from. As said, virtually all games are eligible, within the relevant category. So the slots bonus must, obviously, be wagered on slots. Only Blood Suckers is excluded from this. The table games bonus is valid on all table games aside from baccarat and live casino table games. The live casino bonus also excludes baccarat but all other table games will clear your bonus at a 100% rate. Last but not least, the instant win bonus has no exclusions. Instant win games have their own tab at BetVictor and you can play any of the games there. Claiming the bonus is easy enough too. We’ve included all of the key terms throughout this article but you can see the full Ts and Cs at BetVictor. Below, however, is a step by step guide on how to claim and use this brilliant offer. It really is that easy. So, if you fancy a low risk casino bonus worth 500%, BetVictor is the casino for you! BetVictor have loads of offers for existing customers on top of the £50 bonus for newcomers. You can see all of these at the BetVictor offers page. Sometimes they will also email you with customer-specific promotions too. Lots of the promotions are ongoing ones, such as Golden Goal (a football prediction contest really but it’s free and you can win £25,000 or more!) and Game of the Week. As major sponsors of Liverpool they also regularly have competitions to win tickets and other LFC goodies. They also quite often have one-off prize draws and the like, where you play a named game in order to win entries. We’ll detail any of those right here so you don’t miss out. The latest prize draw is a Slots World Cup offer and is valid until the 23rd June 2018. Just opt in at BetVictor under the “Offers” tab and then wager £5 on the eligible qualifying slots. Every £5 earns you an entry into the draw. Top prize is a cool £1,000 in cash, with loads of casino bonuses up for grabs. There are 100 prizes in total so get spinning if you want to get winning! As with all BetVictor offers, please note this is 18+, available for a limited time and subject to Ts and Cs, including wagering requirements on any bonus prizes. BetVictor Casino is undoubtedly one of the very best around. This welcome bonus is right up there with the very best casino offers available at the moment. A 500% bonus (if you like that, check out the Coral £50 bonus too!) is great in its own right but the simplicity of this offer makes it even better. Moreover, because your deposit isn’t attached to the wagering, you have a great chance of making a profit. On top of that, BetVictor are also one of the best online casinos when it comes to existing customer promotions too. They have loads of regular weekly freebies and bonuses, as well as some great one-off competitions, including one that gave away £1m! Game of the Week gives away £5,000 every week and is really simple to get involved with. On top of that, as a main sponsor of Liverpool FC, they often have exclusive Liverpool promotions, with tickets and other prizes up for grabs. BetVictor are a highly reputable and trustworthy company too. Their games are top class, 100% fair and you can rest assured that playing at BetVictor is safe, fun and, with this £50 welcome bonus, hopefully profitable too! When it comes to using the £50 of bonuses on offer here, you have a number of options. Before we look at the four different stages of the promo, let’s consider first of all how to earn your bonuses. As detailed above, in order to claim the BetVictor Casino bonus, you must wager £10 in the casino. 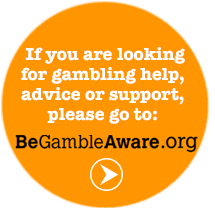 As with any bonus, free bet, promotion or offer, being aware of the main terms and conditions is crucial. The full Ts and Cs are easily viewed at BetVictor and we’ve got the main facts on this page. When we say you should be aware of the small print, we don’t mean because the casinos don’t play fair or there are catches. But, for example, with this offer, baccarat doesn’t count for the qualifying wagering. If you just happen to love baccarat (James Bond loves it so we don’t blame you!) and pile into that, you’ll no doubt be angry and frustrated when you don’t get the bonuses. Equally, you have to opt-in to the offer and you must complete your £10 wagering within 7 days of opening an account at BetVictor. If you wait 8 days to wager your £10, again, you’ll be frustrated not to get the bonus. But the Ts and Cs are clear so you can only blame yourself. OK, school lesson over, assuming you know the most important info about this promo, how should you go about completing the £10 of qualifying casino action? Well, one way of looking at this is that you are getting a 500% value of bonuses. Whatever happens with your initial £10, you’ll be getting a further £50 of freebies. On that basis, some players may feel they don’t need to think about strategy or what to play. If you simply want to have fun then that’s absolutely fine. Playing online casino games should be about fun, so just pick whatever game(s) take your fancy and get your £10 wagered. Avoiding baccarat and Bloodsuckers of course! However, we would advise a bit more of a thoughtful approach. Casino games are fun but they are even more fun if you win and if you approach this one carefully you have a great chance of winning. If you can get through your £10 wagering with as small a loss as possible – or ideally a win – then the four bonuses are effectively risk-free. As such, for the £10 bonus wagering we would advise playing a game with a low house edge. Also, playing a game with low variance is advisable. The house edge is in some ways the casino’s profit margin on a game. Variance can be viewed as the volatility of the game. For example, if I run a raffle and sell £100 tickets for £1 each, the house edge is 5% if I keep £5 and give £95 back in prizes. If I give just one prize worth £95 the variance is very high because most players will lose everything whilst one will win big. However, if I give 80 prizes, ranging from £2 to 10p, the variance is much smaller because some players will double their cash, some will make a small profit, some will break even, some will lose a little and some will lose their entire £1 “stake”. OK, back to the BetVictor offer! So, we would say that blackjack is one of the best options. It has a very low house edge – usually around 1% depending on the exact rules. That means on average, if you play 100 hands for £1 you will lose just £1. Variance is also very low as, in general, most players’ results will not vary too much from that average. BetVictor Casino has blackjack tables that allow £1 bets, so we advise playing 10 hands using basic strategy. Of course, some players may get incredibly unlucky and lose every hand. That may seem hard to believe and if it happened to you, losing 10 hands in a row, you may think it was a fix. However, the reality is that the chances of losing 10 hands in a row are “only” around 0.065%. It will happen to someone and if you play blackjack long enough it will happen. Of course, on the other hand, you may get VERY luck and win all 10 hands! If you do, happy days! Win all 10 hands and you’ll have a guaranteed profit of at least £10 (more if you get a blackjack or two!) AND you’ll have the £50 of bonuses still to come. However, due to the low variance of blackjack, the reality is that most players will end up somewhere between £1 down and £1 up. Let’s assume you’re a little unlucky and you end £2 down. That’s still a pretty solid result. You’ve had a bit of fun, played some blackjack and have effectively swapped £2 cash for £50 of casino bonuses. £2 for a £20 slots bonus, £10 table games bonus, £10 live casino bonus and £10 instant win bonus is amazing value we’d say! We could really just repeat ourselves as the same ideas and concepts apply, by and large. First up, be aware of the key terms. In essence, that means the time limits, the bonus rollover and the games that you have to play. Next up, is the idea of simply playing for fun or making more of a concerted effort to meet the wagering requirements with some of your bonus intact. Basically you can, again, just opt to play whatever (eligible) games take your fancy. You’ll need luck to meet the bonus rollover but as you hopefully lost no more than a few quid “earning” these bonuses, who cares? Alternatively, take the more measured approach and opt for games with a lower house edge. For the table games bonus and live casino bonus, blackjack is once more a great option, although other games are also reasonable picks too. For slots and instant win games it is less clear what the house edge is. You are probably best asking customer service if they can help but in truth the house edge on all of these games is going to be relatively high. That partly explains why the wagering requirement is lower, at 35 instead of 60 times the bonus. As said, you’ll need luck to clear a profit from these but with four separate bonuses to go at you have a decent chance of getting lucky with at least one. What’s more, with a total of £50 in bonuses for a £10 deposit, you’re getting £60 of casino fun for just £10. Given the initial £10 qualifying wagering is quite low risk, that’s clearly an amazing deal so why not join BetVictor now and claim your bonus?